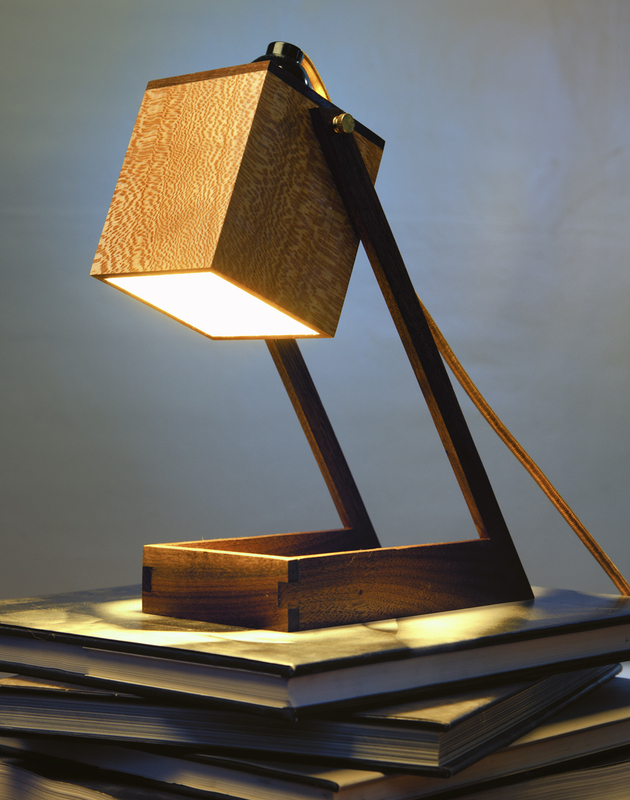 Proper Wood lamps are made with painstaking attention to detail. 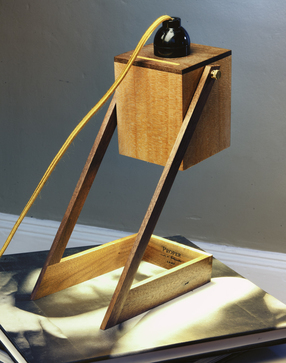 A simple, yet elegant and modern take on the desk lamp, each lamp is made one at a time, by hand, with black walnut and a contrasting sycamore, carefully selected brass fittings, vintage plugs and a gold cloth covered cord. 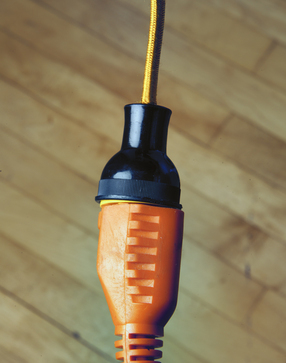 Comes with a cfc bulb. Lamps are made to order and may take up to 2 weeks for delivery.